Sometimes we meet people for only moments, and they inspire us our whole lives. 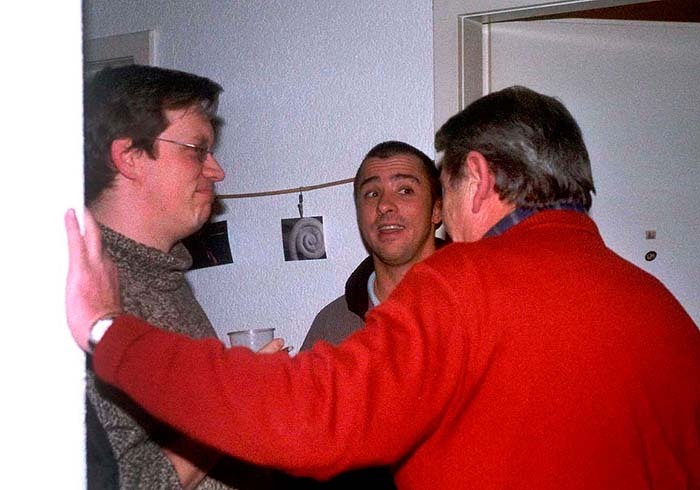 In 2004, I met the gentleman in the red sweater at a birthday party. He was the retired dad of the birthday girl, and had just hit seventy years of age. Being a true Swiss mountain boy, he had never left his home country until he reached retirement. Not long after his last day at work, when he was sixty-five, he informed his family, he would go on a trip. The adventurous senior packed a small backpack and took a plane to Sydney. Not speaking a single word of English, he followed a group of teenage backpackers to a hostel. An idea formed in his mind, and a few days later he asked them, if they wanted to buy an old car together and drive through Australia for a few months. They could help him get around. He had been a mechanic his entire life. In exchange for their help, he would make sure their car survived the trip. They all ended up exploring Australia for many months, in a rusty old van, having the time of their life together. During our short conversation, my friend’s charming dad had us all in awe with his tale. Whenever I am scared to face the unknown, I remember this friendly, positive, old man in his bright red sweater, and off I go, happily plunging ahead towards new horizons. This entry was posted in Book, Inspiration, Memoirs, The Fortunate Nomad, Writing and tagged #book, #inspiration, #memoirs, #thefortunatenomad, #writing on July 9, 2014 by liamklenk.